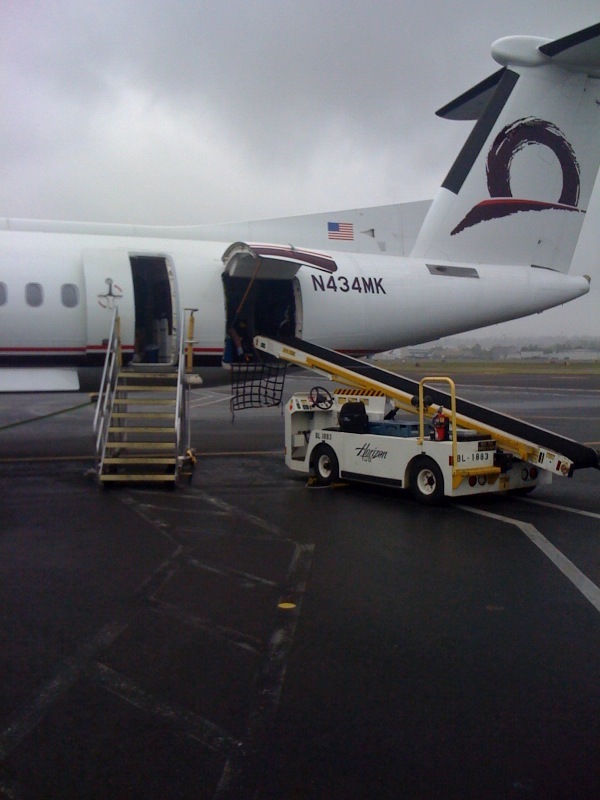 I just took the Horizon Airlines Portland/Seattle shuttle, and flew on a very special plane. This is Horizon’s Bombardier Q400, dedicated to Horizon founder Milton G. Kuolt II. 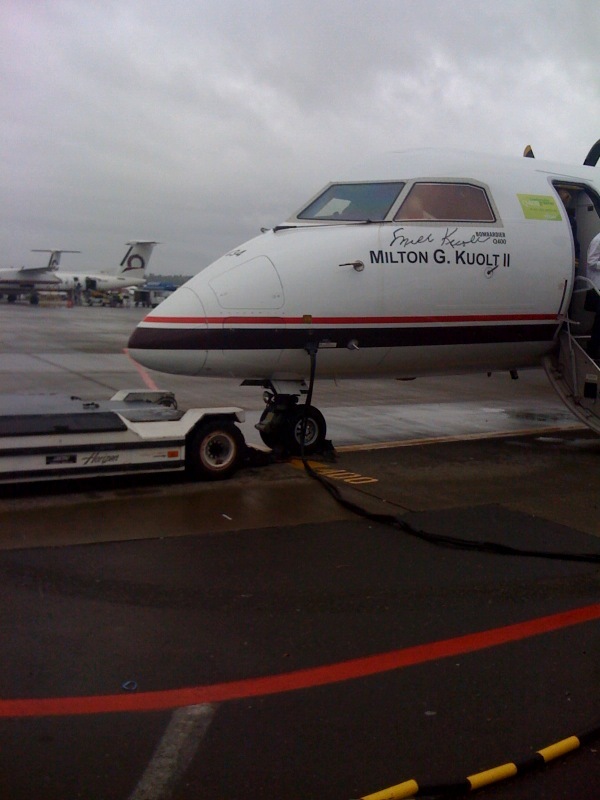 I love that they’ve actually forgone the QX designation and gone with the MK designation for the plane’s registration. This entry was posted in Air Travel, Airlines and tagged Horizon Air. Bookmark the permalink.